Hello crafters! As much as I love traditional christmas decoration and motives, I am totally up to some crazy fun christmas as well. 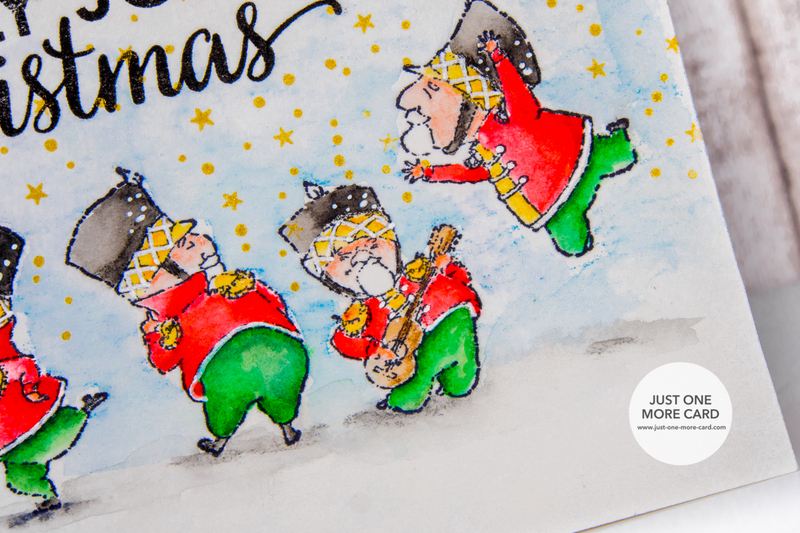 And which stamp is better suited for this than Stamping Bella's Christmas Soldiers? I just love these fun guys, they make me giggle every time I see them. I started out by stamping the lot with my Fiskars stamp press and Archival ink. This is all one stamp, so you don't have to worry about lining them all up perfectly. 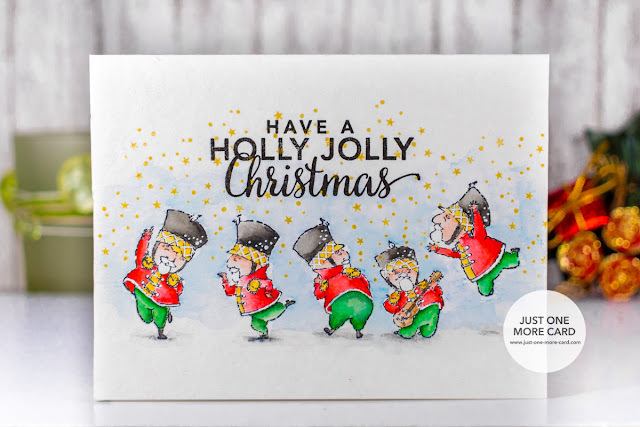 The sentiment is from a stamp set by Hero Arts – I wanted a big and bold font to complement my colorful little soldiers. The first layer of color was done with Stabilo Watercolor Pencils. I just started testing them and really liked how easy they can be blended. After the color had dried, I came back with my Stabilo markers, which are also water based, and added just a touch of color in the shadow areas. To blend them out, I used my Dove Blender pen which gave me great control over how far I wanted to blend the color. 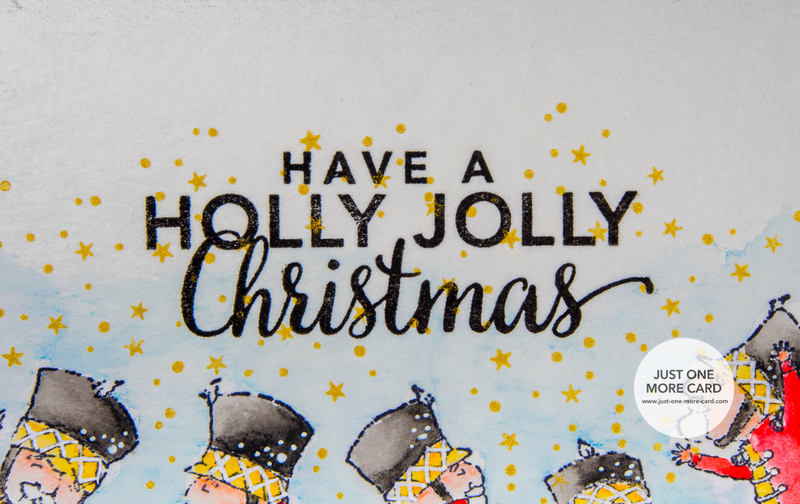 The sentiment was stamped with Versafine ink, which is just perfect for rich, black sentiments. I added a few gold stars with Delicata ink, using a Mama Elephant stamp set – you just gotta look around for some small stamps that you can use with different cards. Thanks for stopping by today and have a lovely weekend!